Koh Tao is one of those must experience destinations for the young traveler. In 2010, it was featured as #3 in Lonely Planet’s top 10 must-see destinations worldwide. Koh Tao is the perfect choice for your PADI Scuba Diving Internship. GoPro – Asia’s internships are conducted thru the world famous Career Development Centre, Bans Diving Resort, winner of numerous awards for Outstanding Business and for the Best Dive Centre in Asia. Jeff Glenn, your Course Director and Technical Instructor Trainer will supervise your Internship. Please read thru a brief summary of our internship we offer here and please feel free to contact jeff@gopro-asia.com if your have any further queries. Why choose GoPro-Asia for your internship? Qualified Instructors – Jeff Glenn, A PADI Course Director and Technical Instructor Trainer will supervise your internship. We also have 4 other fulltime Course Directors on staff, no medium sized dive school can come close to offer the professionalism that’s on offer here… Simply put, if you want to learn something new, learn from someone at the pinnacle of his profession. Bans has a team of very experience Master Instructor who’ll you’ll also be working very closely with throughout your internship at GoPro-Asia. PADI 5 Star Career Development Center (CDC) – awarded to PADI 5 Star IDCs that conduct additional instructor-level training and meet requirements for assisting dive leaders in reaching their educational and professional goals. 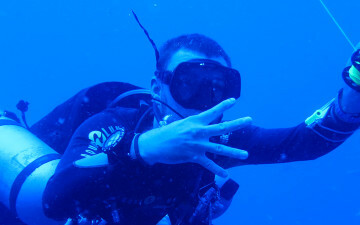 PADI 5 Star CDCs offer career-oriented training to prepare dive professionals for employment in the dive industry as well as offering job placement assistance for program graduates. PADI 5 Star CDCs are committed to training dive leaders and conducting career development programs. Location – GoPro-Asia and Bans Diving Resort are located right in the centre of busy Sairee Beach. Just a hop skip and a jump away from all the amenities you’ll need during your internship with us. Social Atmosphere – One of the best on the Island. There’s always something going on, beautiful sunsets to take in and delicious Thai food to eat all while your making wonderful friends from all parts of the world. Koh Tao also comes to life at night. It is no secret that the island has a party scene all of its own. With an array of restaurants and bars, one should expect the evenings to be pretty much just as alive as the day. Live bands, fire dancing, and bar hopping all contribute to the night life that can be experienced on the island. Koh Tao is a peaceful and idyllic place by day and at night there is plenty of great places to have a cold beer or cocktail. Although you can find a bar on nearly all of the beaches in Koh Tao much of the nightlife on the island centers around Sairee Village and Mae Haad. It is often worth checking around for Happy Hours. Here is a list of some of the better places in Koh Tao to enjoy a few drinks with friends. 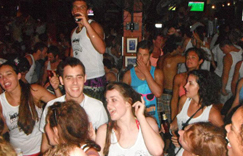 Maya Beach Club – Renowned for the DJ’s that play there… has a great Funday Sunday session…. 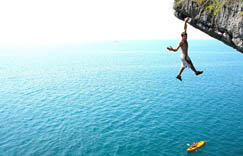 Koh Tao has many activities to chose from. 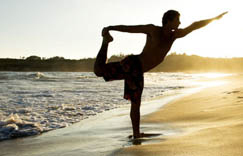 There are adventure sports such as diving and rock climbing as well as relaxing activities such as massage and yoga. A great way to see Koh Tao both above and below the water, Diamond Tours has daily snorkeling trips visiting different beaches around the island all with fantastic snorkeling. Flying Trapeze Adventures offers many different levels of courses. Ages 6 and above, the sky’s the limit! Chooses from kid’s classes, family classes and adult classes for all levels. By training your body and your mind, you will experience new sensations without the aid of artificial breathing equipment. 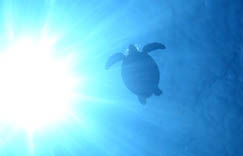 There are courses for both beginners and advanced free divers. Enjoy a morning of fishing top water game fish such as marlin, sailfish, king mackerel, and tuna by trolling and live baiting with Adventure Center 2. The “Miss Adventure” is a traditional Thai wooden boat with a large free flow live bait well, and classic Yanmar 16hp inboard diesel engine. Muay Thai is a marital art and Thailand’s national sport. Island Muay Thai offers tuition for both men and women of any age or experience level. 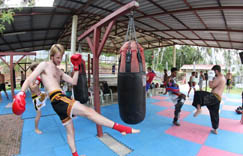 If you are looking to keep fit while on holiday try one of the daily classes of Muay Thai available. Koh Nangyuan, three islands famous by they’re beautiful white beaches that connect them. One great way to see the islands is to zip between the islands on a harness. Operated by trained professionals this adventure is one of a kind. Thai cuisine is famous worldwide. While here take the opportunity to learn how to cook some of your favorite dishes from locals. Learn their secrets to making these delicious dishes so you cook for yourself once home. Shambhala Yoga offers a variety of Hatha Yoga styles, Pranayam & meditation led by internationally qualified & experienced teachers. No bookings are required and classes are open to all levels of experience. All equipment is provided. Another great way to spend the day with friends or family is at the Koh Tao mini-golf and bowling. There are 9 holes to play and 4 lanes of bowling. A driving range has also been recently added. If you enjoy exploring, walking and hiking, Koh Tao has many treks leading to gorgeous beaches at the end. A great way and spend a morning or late afternoon exploring the island. The Koh Tao granite is excellent for training beginners as well as fine-tuning any climbers technique. There are 1/2 day to 6 day courses available. You’ve put in the hours, got the grades and are all set to take on university, but before you do why not take a gap year with a difference and come and spend some time living in the tropics. Our instructor courses are an excellent way to gain some great qualifications, make some life long friends and take your diving to a level you may have previously never thought possible! At GoPro-Asia we pride ourselves on being able to offer the ultimate gap year experience. We have courses to cater for all varying in length, aim and cost. There is one thing all of courses have in common though; you’ll make great friends for life, gain some great qualifications, learn more about diving than you could ever imagine, and you most definitely won’t want to come home! Koh Tao is a very safe place. It’s not likely that you will encounter any problems while here however if you do have any questions or need advice you will have the support and guidance of Jeff and his team of instructors at all times. A mobile phone will be provided to you so you can call the dive center at any time or Jeff should you need any assistance. Let us know if you need any assistance with booking your transportation to Koh Tao. 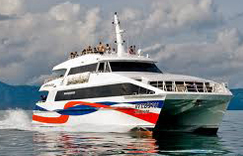 The main boat company Lomprayah Catamaran has daily ferries to Koh Tao. Travelling from Phuket to Koh Tao you can either fly to Koh Samui then transfer to boats from the airport or travel by bus to Chumporn, Koh Samui or Suratthani. Surat Thani has a night boat leaving at 11.00pm nightly for Koh Tao. It is a 6-7 hour trip. How to apply for your internship. First, drop us an email and let us know which scuba internship you’re interested in. Any questions you have regarding our gap year diving programs we’ll happily answer for you and together we’ll decide on a suitable start date for your dive internship. We have interns from all over the world with us so we’ll be able to let you know who you’ll be doing your program with as well. Next you should read through the PADI medical questionnaire, (link) making sure you have no medical conditions which might prevent you from scuba diving in Koh Tao. We’ll need to take 10% deposit from you to book your place on the scuba diving internship, details of which will be sent to you by email. This allows us to reserve your accommodation on Koh Tao, and get everything ready for your arrival. If possible, the deposit should be paid at least two months prior to your planned internship start date. Once that’s done, you can go ahead and book your flight ticket to Bangkok, and sort out a suitable travel visa to enter Thailand, (which we can help with if required). The remaining balance of your scuba diving internship can be settled once you arrive on Koh Tao and settle into your tropical surroundings. GoPro Asia’s scuba diving internships run as a rolling program. That means that the start date is completely flexible – you can start whenever you want. Bans Diving Resort is open all year round, and Koh Tao has a 12 month scuba diving season, so whichever month suits you best is fine. All we need is a little notice to make sure everything is organised ready for your arrival. We have many interns at various stages of their program and we try and arrange that you’ll start yours at the same time as others. That way, it’ll be more beneficial for you to work together through your programs making life long friends along the way. 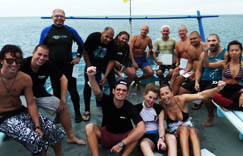 Best Months for PADI Diving Internships in Koh Tao? Koh Tao has a great climate and we’re lucky to be able to dive year round. Because Koh tao is tucked away in the Gulf of Thailand, it receives shelter from most major weather fronts in the area. Our weather is usually fine all year round, with temperatures varying between 25 and 35C, generally dry and sunny. Underwater visibility can vary, but on a good day, it can get up to up to 30M plus. And if you decide to go wreck diving on our Technical Diving trips, you’ll experience even better visibility. (For current weather reports search google for ‘Wind Guru Koh Tao’ or visit the Thai Meteorological Department website). Being in the Tropics, we can and do experience some pretty amazing thunderstorms. This usually occurs in our monsoon period which is around the month of November. The waves will get a little bigger and the visibility will drop off, but it will still be warm enough and good enough to get out and dive in. 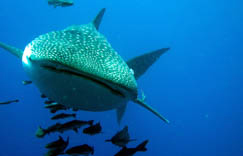 One of the diving highlights in Koh Tao are the seasonal visits of the biggest fish in the sea – Whale Sharks. Sightings around Koh Tao are most common during Feb – April and also in September – October, months, which usually have excellent visibility. So if you’re able to coordinate your GoPro-Asia dive internship so that you’re here during one of those months, you’ve got a good chance of having a very special scuba diving experience. 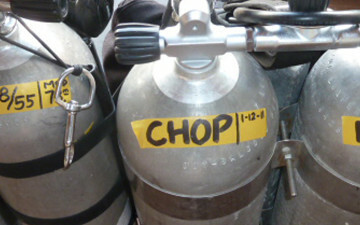 The busiest times of the year for the Koh Tao dive industry are July/August and around Christmas and the New Year. During these peak periods the island becomes very busy with divers and PADI dive courses, which is a great time for getting lots of hands-on experience during your GoPro-Asia Divemaster internship. If you’re planning to stick around once you qualify as a PADI Divemaster or dive instructor, during Koh Tao’s peak seasons there are many opportunities for paid gap year employment. Another highlight is the Thai New Year ‘Songkran’ celebration each April. This is the hottest time of the year, when temperatures can soar up to almost 40C. The Thai’s celebrate their new year with a giant water fight, showering each other with buckets of water and talcum powder. In some parts of Thailand the festivities last for several days, but here on Koh Tao it’s mostly kept to one main day of celebration. A lot of fun to experience! A typical day on your Internship. Internship train with Go-Pro Asia will be both educating and exciting! Before the morning dive boats leave the dock, you will most likely be helping to load gear, equipment, answering questions about the dive site, or possibly helping out in the shop with rental scuba gear, equipment repair or retail sales. During the ride and when the scuba divers are gearing up, you will always keep a watchful eye out in order to head off any potential gear issues or safety concerns. At the dive site, assist customers with extra needs – maybe helping them from their seat to the exit areas with their gear on, handing camera equipment down from the boat to the diver, or fetching gear accidentally left behind on the boat. Interns can be very helpful to the boat captain and divemaster, especially when the boat is full. Your job is to help make their job easier. During the dive, perhaps you will help the divemaster keep an eye on the divers. While underwater, help keep the divers safe and point out anything of interest that you observe while you’re practicing your pro-level dive skills. 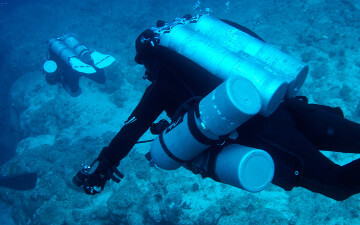 If you stay at the surface, assist as divers exit the water at the conclusion of the dive, and during the dive keep an eye out for divers surfacing early who may need your assistance. If you are not on the boat, you could be in the pool practicing your divemaster skills, or in the shop studying for that next Divemaster course exam, or attending one of the lectures learning more about physics, physiology, skills and environment, deco theory etc. 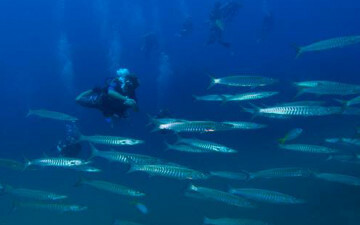 gaining the knowledge you need as a divemaster. If there are courses being taught through the shop, an intern may assist the instructor to ensure the course goes smoothly. For example, during a Rescue course you may be called upon to portray the victim and let the students ‘rescue’ you. For a open water course, you might be the extra eyes for the instructor keeping an eyes on student not practicing skills with the instructor. At the end of the day everyone heads to Fish Bowl Bar to enjoy a few cold drinks while watching the some of the best sun sets you’ll ever see. A job in the dive industry can be very rewarding, but no one ever said there wasn’t a lot of hard work involved! By the end of the day, you probably will have worked on dozens of different tasks – it is never boring and rarely routine. 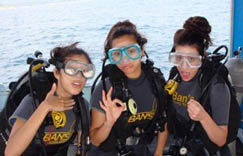 Enjoy your scuba internship adventure and learn as much as you can from dive team at GoPro-Asia and Ban’s Diving. Budgeting advise for your Internship. Since your accommodation is taken care of all you need to worry about are the following: Food: There are plenty of food options on Koh Tao. Thai food such as Pad Thai and curry dishes are around 60-80 baht including rice. If you want to eat western there are man places to choose from offering Italian, Mexican, Japanese and the regular pub grub. Price for western food vary from around 120 baht onwards. Drink: A small bottle of water is 12 baht and a large 1.5 l is 20 baht. Small beers are around 50-60 baht and large ones 80-90 baht. Communication: There are many free wifi places you can use with your laptop or phone but if you don’t come with your own then there are plenty of internet shops on the island offering internet for 2 baht a min. Flights: This will probably be your biggest expense, take the time to search the internet for good deals. Travel will be to the capital city of Bangkok to the international airport, Suvarnabhumi. 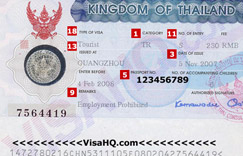 Visas: When arriving into Thailand by flight most nationalities will receive a 30 entry visa into Thailand. If you are taking one of our internship programs its better to apply for an educational visa in advance so you don’t waste time and money going in and out of the country. We can help you with the paperwork for the visa and you can google the Thai Embassy in your country to find the latest visa fees. The dive resort we have a safe that you can use to keep your money and valuables. It is always good to carry some cash and some travellers checks as well as a credit card for emergencies. Most places here charge 3% when using your card. ATM’s Koh Tao has many ATM’s on the island so getting money if you have money in the account won’t be a problem!! Visas are needed for any internship programs of 1 month or more. When booking your internship we will provide you with all the information and paperwork needed to give the Thai Embassy in your country to get the visa you require. Fees for the various visas you can find by googling the Thai Embassy in your country and searching for visa fees. Travel Insurance is a always a good idea. 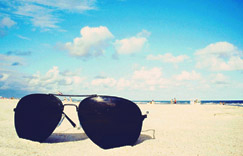 Although there is little here to be weary of it is always a good idea to have travel and medical insurance just in case. There are many renowned international hospitals in Koh Samui. Dive insurance is also important. Again although the chances of having a dive injury are slim we want to make sure that all our students here are covered while participating in the program. It is essential to us that a copy of your insurance and emergency contacts be presented to us when you arrive. When you purchase your travel insurance check to see if they cover diving as well as to what depths. Maybe you can purchase both travel and dive insurance in one package. 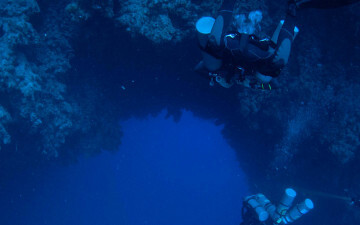 If your travel insurance does not cover diving then most divers here use Divers Alert Network for their insurance. Most things you can get once here. There are an endless supply of boardshorts and bikinis here all around 350 baht and tshirts around 250 baht so if you don’t want to travel with a heavy bag you can just buy some stuff here. Flip flops come in every colour and size here and are around 150 baht a pair. A good pair of sunnies is essential, there are many knock off sunnies here that you can find but a good pair of shades goes a long way. A good quality rain jacket is also useful especially in the rainy season. Good jackets are hard to come by here and if you do experience some rain while here you’ll be happy you brought one. Long pants would be the next hardest tto find here especially since the Thais are known for being too tall. While you probably won’t use long pants that often while here it is a good idea to have a pair around if needed. Also important are a camera and laptop and maybe a USB stick too! A mobile phone is also useful here. If you don’t want to bring your Iphone 4G from home there are cheap phones you can buy here that are just as good! You can buy a Thai sim card at 7/11 and away you go. Vaccines and Health in Thailand. Just making sure all your regular vaccines are up to date and ask your local physician about the vaccines they recommend for Thailand. Malaria is not common here and most people to not take the medcation if they are just coming here.